For many, Thanksgiving is a time to have a wonderful meal on the table and invite family and friends over to celebrate. 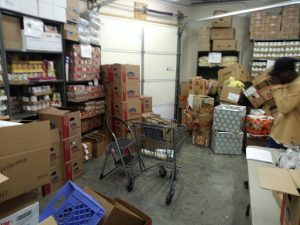 For some Davidson county families in need that would not have been possible, without help. During the 2017 Thanksgiving holiday, we gave away 307 Thanksgiving baskets. The boxes were filled with a full holiday meal. Turkey, sweet potatoes, stuffing, even a pie and cake mix with frosting. 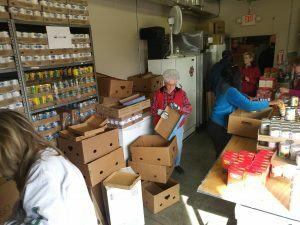 Day after day our volunteers packed and processed prepacked boxes from member churches. Some boxes were decorated with holiday themes from children in the congregations. We thank our local Walmart Neighborhood Market for helping with the turkeys. We went to them several times to refill our freezer and each time they came through for our clients. We are grateful to all that made it possible to fill the hearts and tables of those that needed it.